Like the border and the paperclips and the placement of the title on the two tags. So cute, love the playful papers. 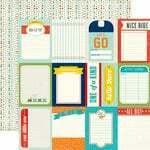 Cute bg paper, love the punched border. ADORABLE, CUTE and so FUN. love how you tucked the cards behind the photo. Cute border and paper clips. Love all the bright colors Great Job!! I really love the papers and I like how you used the paper clips to hold your ribbons. GREAT LO. So fun! 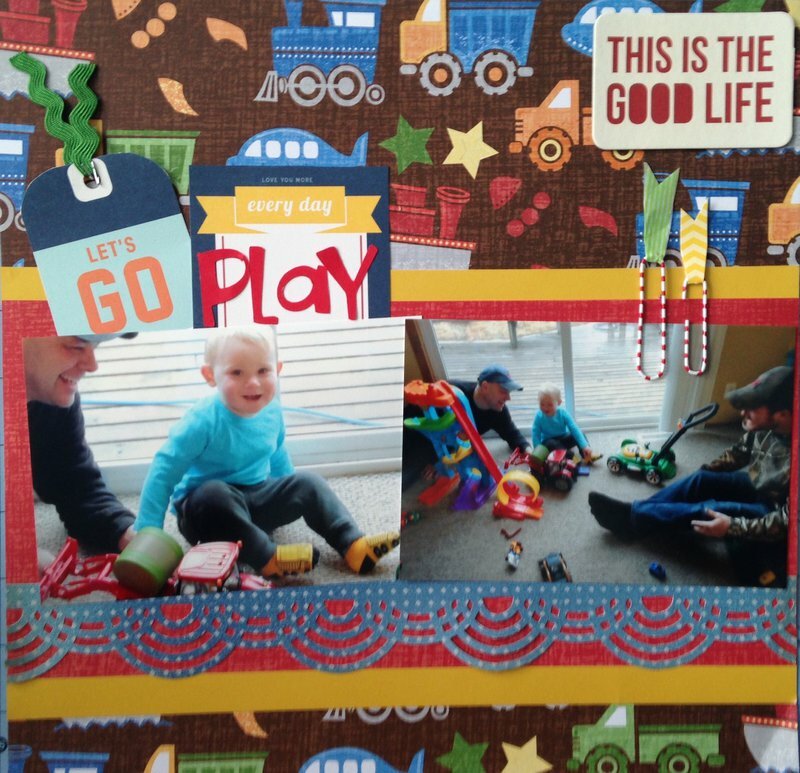 I used this train paper on a layout last month...love seeing other peoples interpretations of supplies! I love the photos!! Beautifully done!! What a fun layout, so cute, bright and happy! GREAT job! So cute. Love how you did the title and the border at the bottom. How fun! How bright, colorful and cute is this! Love that border punch! So fun and colorful- love that border, I've not seen that one! This is wonderful! Great punching, page design and photos! Very cute and so boyish! Love the border punch. Cute! Love the border punch and paper clips! Fun photo, fun paper, fun page! Cute! Love the border punch and bg pp! He's getting so big! Super fun, cute, and colorful lo! Looks like the "big" boys are having too much fun!! Okay ~ have to ask who's really playing with those toys?? lol This is a very fun page! Great job. Look how big he is!!!!!!! This is playful and adorable! love what you did with the paper clips and i love the punch! Nice job!